On 15th September, we swapped cases for cycling and law for lycra to help raise more than £3,000 for our charity of the year, the children’s charity of rugby; Wooden Spoon. The Wooden Spoon charity aims to change children’s lives through the power of rugby and each year funds around 70 projects, from community programmes and specialist playgrounds to medical treatment centres, outdoor play areas and sensory rooms. Since 1983, they’ve distributed over £26 million to more than 700 projects, helping more than a million children. 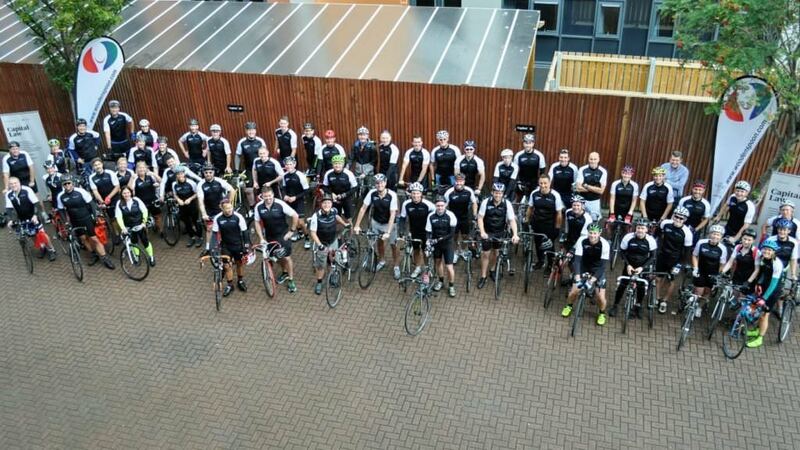 60 keen cyclists set off from our offices on Tyndall Street Cardiff to cycle two routes, a 30-mile option taking in Cardiff and the Vale or an alternative 50-mile route taking in the north & east of Cardiff and Caerphilly. Taking to our bikes to raise money for our official charity of the year has been great. Wooden Spoon make a real difference to the lives of children facing disability or disadvantage, and we wholeheartedly support its work and ethos that sport and activity can bring change to young people.